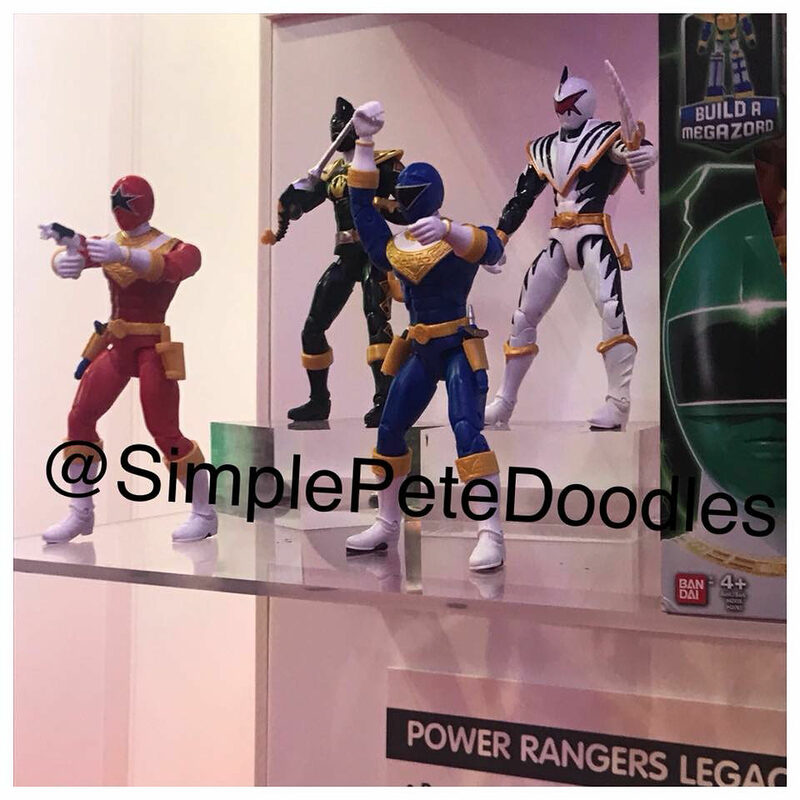 Has anyone found the Gold ranger in UK stores yet? I believe he is talking about the Ninja Steel one - not the Legacy Zeo one . Could be wrong though! Neither of them are released as far as I am aware anyways. By the way, I've just given the info in the first post of the thread an update! Please let me know if anything is missing so I can add them to the list, especially in regards to 5" figures, the armoured figures (with the star that can be used as a weapon and folds over the Rangers'/Zords' shoulders), and the star packs. Gotta keep this info archived! There was also a 12" Rita released in the Movie line. You have Ninjetti coins listed but did they ever make it over? Sorry about that - No the Ninjetti coins weren't released. That's an error on my part. I start with a list of everything and then remove things. I must've missed that, lol. I've updated the post with the last couple of corrections mentioned. Edit - Actually, I know what it was. At Bandai's stand at London MCM in October 2017 at one point (not all the time/every day) they had the Ninjetti coins on display next to the regular ones. I must've kept it on the list because of that. Nevertheless, I've removed it since it didn't see release (yet?). Last edited by Morgan Lamia; January 18th, 2018 at 02:44 AM. No problem Morgan. You just got my hopes up, is all! Seriously though, thanks for the hard work. First time I've seen these in stock? My Asda has had these since before christmas, cheaper than Amazon too (I want to say about £12). So any news on legacy wave 4/5 hitting our shores yet? New legacy sabretooth tiger zord available at Argos - cat number 8066314 £24.99 and in stock! Yikes. I predict that'll be warming the stock rooms for a while before being reduced to almost half it's price. The way its going, they'll probably skip Zeo and go straight to Psycho. They had Psycho at the london toy fair, I don't think they did that for Zeo. They had the Zeo figures on display too.